Banh mi without good pate and mayonnaise feels almost naked and incomplete. While you can find decent premade pate in specialty stores and at Lee’s sandwiches, nothing beats making your own–and it’s not that hard to do. 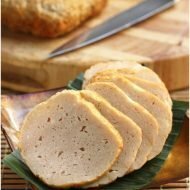 This is Hong’s mom’s easy pate recipe which goes great on anything but especially banh mi such as banh mi nem nuong and banh mi thit nuong. Stay tuned for the next post in this series on banh mi with making homemade mayonnaise and banh mi thit nuong. Add the mixture to a loaf pan/ceramic baking pan (use 2 if necessary) and bake until a tooth pick comes out clean in the center, roughly 30 minutes. Allow to cool and transfer to a canning jar or other sealed container. Pate lasts about 1 week. If you plan on storing it longer, melt some butter and layer over the top of pate to refrigerate or freeze. Gastronomer: We hear ya–it would be almost sacrilegious to throw away the bacon–we just didn't put in in the banh mi, although there's certainly no reason why not as bacon makes everyone taste good! I'm salivating here! Looks meaty and absolutely gorgeous! i will try this very soon for my home made bánh mỳ! 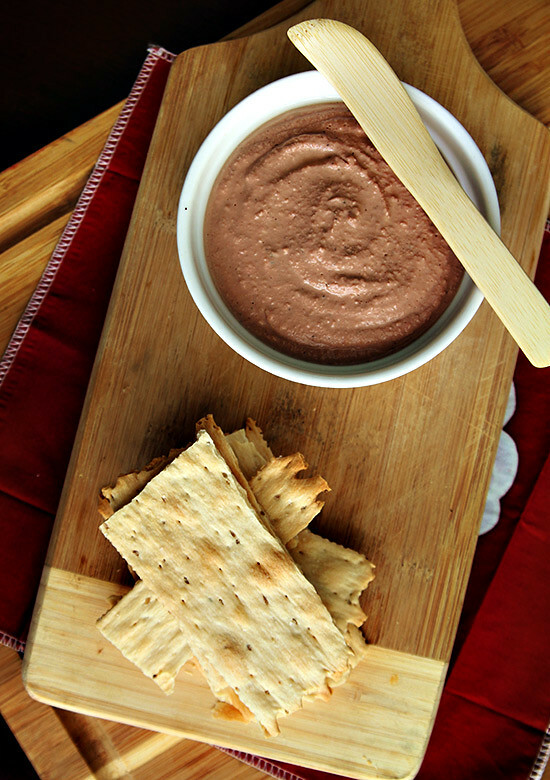 My mouth is watering just thinking about homemade pate, are you kidding me!!!!!!!! Thank you for posting this recipe. I was wondering how long the pate would keep? I don't think I would be able to use this much up if it doesn't keep for a good amount of time. Thanks for the recipe! Anonymous: This was quite a lot of pate for us as well and we decreased White on Rice's couples portions in half. We would decrease the recipe in half again the next time we do this. Wow, making your own pate. Sounds great but how long can we keep this in the fridge? Maybe I can try to make smaller portion. go to 7online.com search baogeutte, they stole your recipe for pate. xuan, there are many types of pate that don't additional pork fat at all…so just don't use it. 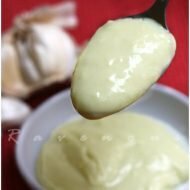 we adapted this recipe from another blog listed above and it was alot..
Hi, this is great! I’ve always love making my own versions for food but is there a certain type of baguette to buy? Do you have a recipe for making the baguette? Thanks in advance! Do you use fresh bread crumb or dry bread crumb? thank you! What kind of breadcrumbs do you use? plain, fresh or dry? Also, can you substitute chicken liver for pork liver? People comments talk about bacon fat and pork fat, I dont see that on the recipe? this is an updated, streamlined and much easier version. any breadcrumb will do, we make our own from day old bread and process it in the food processor. Thanks for the recipe. So you add all the ingredients mixed it and cooked before you put it in the oven right? yes! it needs to be finely mixed/pureed first. good luck! Tastes great, but so not creamy. Is the recipe right? DId I overbake? Made a firm loaf….what have I done? I have a question. Do I cook the ground pork before mixing or do I leave it raw? 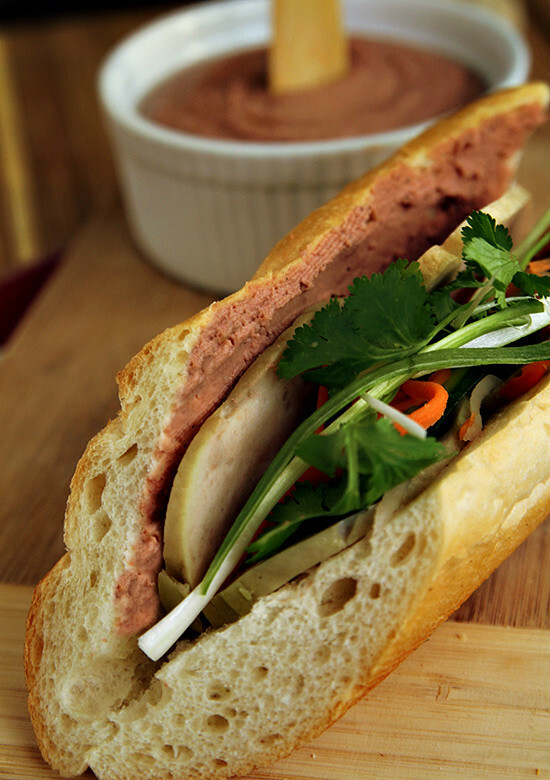 Banh mi with pate is definitely one of my favorite sandwiches, ever. I grew up eating this, so I`m always craving it now that I`m in college. Haha! Thank you for all these wonderful recipes. 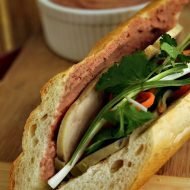 I’m Vietnamese, but can’t understand any of the Vietnamese recipes written in Vietnamese (I know, bad) and Google translate can’t translate correctly so things come out often in gibberish. I love EVERYTHING about your recipes from the gorgeous pictures (us Asians need our colored pictures! ), step by step photos, recipes from scratch so you can make it a healthier way than what you can buy in the store. QUESTION: did I read correctly, it’s pork meat, NOT pork liver? I’ve been looking for this recipe forever. Do you know if there is anything different from this vs. the French style pate? 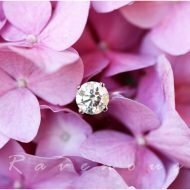 Big thanks, love, love your blog! thank you for the kind words! yes, it’s combination of ground pork and pork liver. I made this recipe today, but it does not look smooth like yours. It is thick…my husband joked and asked if it was meat loaf. How to I get the soft smooth texture like yours? you have to grind it up in food processor until smooth..
just fyi before you make this. Just wanted to let you know I tried out this recipe yesterday and it turned out AMAZING! Thank you very much for sharing! OMG, I’m in heaven now that I have found you. It was by accident, I was on a quest to find a recipe for liver pate and your recipe came up. I just tested this recipe and it’s super easy and delicious! Thank you so much for sharing your talents.